Beets greens have been making a regular appearance in our CSA shares. At first the only thing I could think to do with them is the regular, throw them in a salad or saute them with olive oil and garlic. However, Joe suggested cooking up some beet greens with goat cheese and creating a kind of beet green mash, which is perfect since we get so much delicious goat cheese! This is a simple recipe, allowing the beet greens’ subtlety to shine without the use of heavy seasoning. Be patient though, as this is a fairly delicate process. Start with chevre slightly cooler than room temp. Over medium high heat, melt butter and sautee shallots. Just as shallots begin to brown, deglaze with lemon juice, quickly cut heat to medium low and add milk. Slowly stir milk to avoid scalding until heated thoroughly. Add beet greens to wilt and continue stirring. Begin adding chevre in small portions, stirring to dissolve, until all chevre has been added. Salt and pepper to taste and continue stirring until reduced to preferred consistency (remember it will thicken slightly after removal from heat). Enjoy! Have you all found cleaver ways to eat your beet greens? If you have make sure to share with us in the comment section below. I’m a big fan of rainbow chard and pretty much stick to sauteing it with olive oil and garlic, but I’m trying to challenge myself to be more adventurous with my cooking. I dug up these recipes online for cooking rainbow chard in something beside olive oil and garlic. Enjoy! Rainbow Chard Spanakopita — Yum! Rainbow Chard with Raisins and Walnuts — Super Easy! A photo of our beautiful greens growing at Gia Gardens. The delicious sweet white doll turnip has started showing up in the CSA share and I could not be more excited. I cooked and ate the greens and roots the day I got my share! I love sauteing the greens in a little olive oil, along with onions and garlic and a few dashes of Braggs amino acid. Then roasting the roots with the same combination of olive oil, onions, garlic, and Braggs until they are slighted browned. I. Love. Turnips. But I wanted to dig up some ideas for other ways to cook turnips and through the magic of Google I have dug up some great things to share. 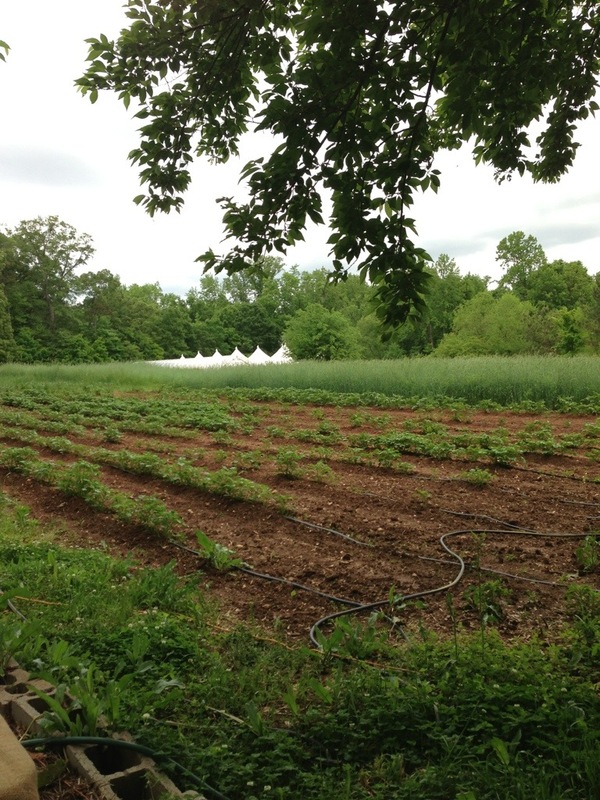 First off, I’d love to share an awesome blog post from a fellow CSA member, Adelle Frank, on the lovely turnip. Click: HERE for her post. Cook.com suggest pickling and mashing turnips: Here and Here. Mashing turnips with potatoes is very tasty. In conclusion, don’t fear the turnip, it can be cooked numerous ways and don’t be afraid to experiment. And if all else fails eat that turnip raw, cut it up and eat it as is, topped on salads, or like a chip for dipping. 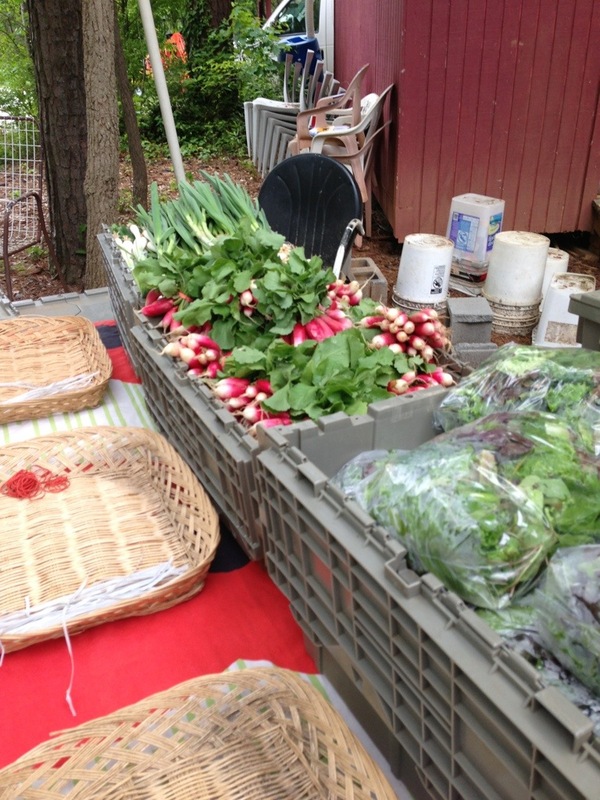 It’s the time of year for radishes to show up in our weekly shares. Last year it was a bit daunting for me trying to figure out different ways to eat and enjoy radishes. I think I did a pretty good job of it and grew to love them. I would include the greens in my salads, on sandwiches, lightly saute them in a pan with garlic. I would half the radishes and put them on bread with butter, as salad toppings, thrown into soups, stews and stir-frys and perhaps my favorite way was to use radishes to make kimchi. I also love to make cold radish salads with lots of fresh ginger and miso dressing. Here: What to do with all those Radishes? Before I go here’s a little radish history for you. Did you know that the Chinese started cultivating radishes around 700 B.C.? As a gift of good-will, China gave radishes to Japan where the radish is still loved today and shows up in many of their dishes. The Egyptians also enjoyed radishes and there are ancient writings that tell of Egyptians eating radishes before the pyramids were built. And in ancient Greece the radish was so loved that they made gold replicas of them to give to the god Apollo. And the last little fun fact, when the radish made it to England around 1500 it was rumored to cure all kinds of nasty aliments like kidney stones, worms in the intestines, and acne. How do you guys enjoy your radishes? 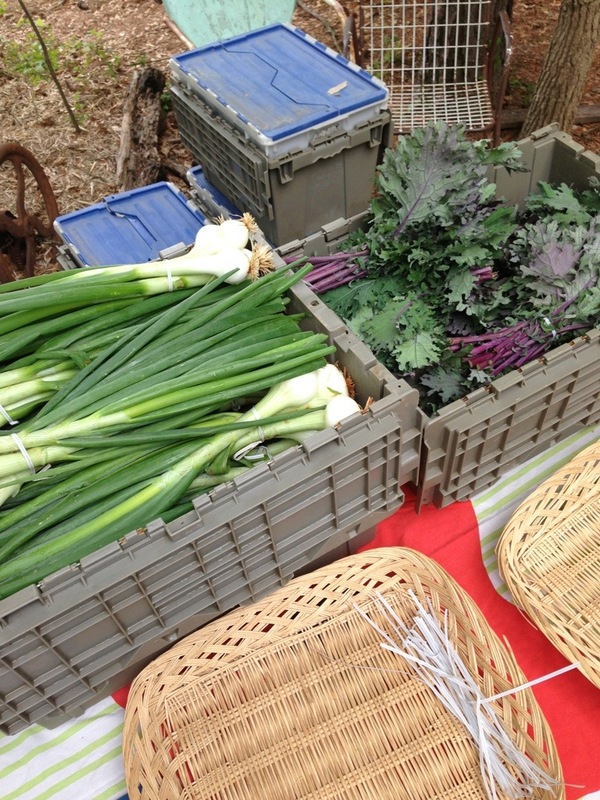 Welcome to the start of the Summer/Fall CSA! Our first pick-up was a good one and we got our first bag of yummy crowder peas. To shell peas, simply pull the vein out that runs down the length of the pea pod and use your thumbs to open the pod. I usually do this over a bowl so that the peas don’t roll everywhere. …They are so delicious. We just boil them in a little broth or seasoned water, along with diced onion or mild elephant garlic, for four or so minutes. Joe also demonstrated to me how you can eat the crowder peas without cooking them, straight out of the shell! I had never thought to eat the peas uncooked and was surprised at how good they tasted. They almost taste like a peanut, and I have been including the uncooked crowder peas in my lunch time salads! Delicious! This blog post from A Veggie Venture has some great insight about shelling peas: Fresh Crowder Peas (Black-eyed Peas). Lastly, here’s a recipe for traditional southern style crowder peas from Home Cooking Kitchen: Garden Fresh Crowder Peas. Share your recipes for crowder peas in the comments section below, we’d love to see them! And check back soon because I’ll be sharing a recipe from Joe for muscadine pie!